Acing an interview is difficult in any circumstance. But, it is even harder to ace a consulting case interview. If you are a consultant, you know that there is a ton of competition out there. Businesses can easily have their pick of the litter. So in order to land a job, you need to stand head and shoulders above the consulting competition. Thankfully, there are simple interview strategies that you can use to snag the consulting job you are looking for. Find out how to ace the consulting case interview in the post below to land the job you have been waiting for. From the very onset of the interview, you should be asking questions. The more questions you ask, the better your interview will go. Asking questions demonstrates that you are quick-minded. It shows off why you get a MBA, your critical thinking and problem solving skills. Doing so also proves to interviewers that you care about their wishes and concerns during the consulting process. This is a crucial consideration to companies hiring consultants. Keep that in mind, and keep the questions coming from the very start of the interview to land the consulting job you desire. When you read about case interview, you need to identify the root cause of the hypothetical problem you are tasked with solving. Identifying the root cause of the issue will make it much easier to identify solutions. It is also exactly what the interviewers will want to see. They want to get a taste for your problem-solving abilities. That is one of the most important considerations of any interview, but particularly of these kinds of case interviews. If you want to know how to ace the consulting case interview you are about to be up against, make sure you use this problem-solving strategy. Prior to the interview, do a ton of research about the company you are interviewing with. The more you know about the company before you step foot into the conference room, the easier your interview will be. Understanding the background information about a small business makes it easier to answer questions they may ask you. You will know all about their current struggles and strengths. That way, you can maybe anticipate some of the possible scenarios they may throw at you. The more prepared you are, the better you will perform. That is one of the most simple ways to learn how to ace the consulting case interview for the consulting job of your dreams. Come up with a particular case-cracking strategy that works for you. Then, organize that problem-solving strategy into a logical sequence of steps. Doing so will enable you to repeat those same problem solving steps to achieve desirable outcomes nine times out of ten. Once you have a strategy that is proven to work, you will be much better prepared for your consulting case interview. You will also feel more confident, knowing you have the processes in place that it takes to succeed. By having a proven problem solving strategy on hand before you interview, you will stand out from all the other competing consultants that are fumbling their way through. That is half the battle. This is one of the best consultant case interview tips and tricks that will help you land the job. Once you have the problem solved, make sure to propose possible next steps for the company to follow. You may also want to mention the potential results of taking those steps. This way, the business consulting firm interviewers will see that you think ahead. When you demonstrate your forward thinking ways, you prove to the company that you are not short-sighted. This is a crucial consideration in such case interviews. In order to ace a consulting case interview, you need to demonstrate your skills for farsightedness by proposing possible next steps and results of your problem solving plan. 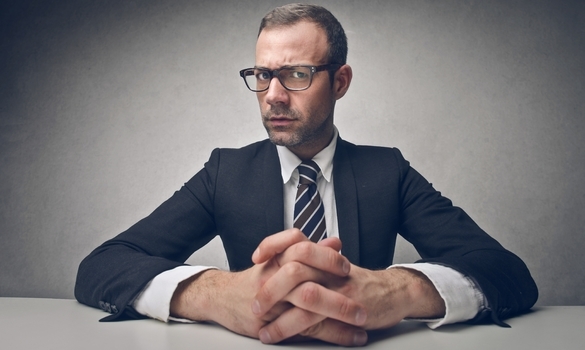 No one knows what you hand you will be dealt during a case interview. Case interviews are notoriously difficult. However, that does not mean it is impossible to do well on a case interview. All you have to do is use the tips and tricks detailed above to learn how to ace the consulting case interview you are up against. These proven case interview strategies are sure to help you land the job. Then, you can put your consulting prowess to good use working for the company you want to work for.